OK, your first thought, like the Accidental Locavore’s, is probably – artichokes are time-consuming enough to cook, why would I want to grill them, but trust me, you do. And, you want to grill them on charcoal. I’m only slightly a charcoal snob, because there are many times when time is at a premium and it’s faster to toss something on a gas grill. For this, the smoky taste from the charcoal is really the reason you’re grilling them in the first place, so go light some charcoal! 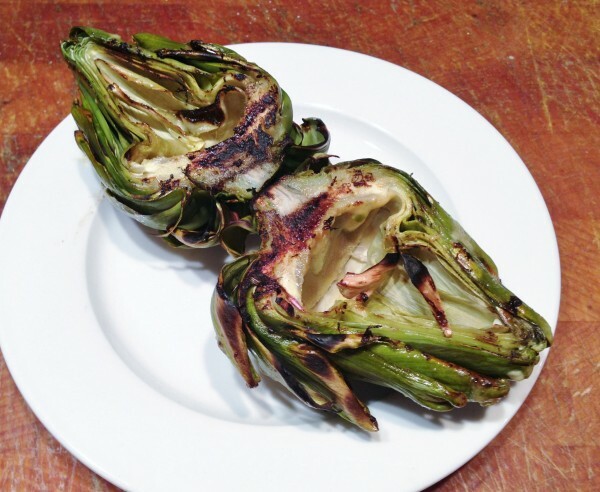 While you’re waiting for the grill to be ready, wash and trim the artichokes. I had two big ones; figure on at least 1/2 per person depending on the size and what role they’re playing in your meal (appetizer, main course, side dish). You can save a lot of time, by wrapping them in either Saran Wrap or parchment paper, and steaming them in the microwave for about 8 minutes (again depending on size and microwave strength) until the stem end is tender and gives when you touch it. Once they’re cool enough to work with, cut them in half. Using a small spoon, carefully remove the choke and the smallest inner leaves (if you want to, the choke can be removed before you cook them, but it’s easier this way). Brush the artichokes with either a little melted butter, some of the remoulade you’re going to eat with them or a little good olive oil. Grill them, cut side down, for about 5 minutes, then flip and grill the other side for about 5 more minutes. 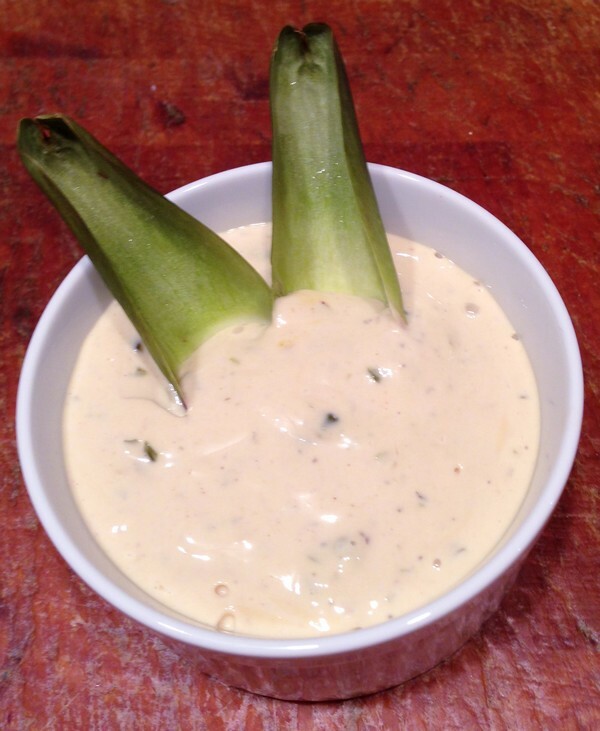 Serve with the remoulade sauce below, or your favorite dipping sauce and enjoy! My verdict: These were great! Absolutely worth doing over charcoal, and definitely worth grilling! This may sound silly, but it’s awfully nice to have the chokes already removed so you can just zip though them. My quick version of a remoulade may or may not be terribly authentic, but it sure tasted good! I think it’s one of those things that takes well to improvisation. Probably having some homemade mayo helped too, but by this point I hope I’ve convinced you ages ago that it’s the only way to go. Mix everything together in a small bowl. Taste and adjust to suit your palette. They’re great this way! Making them for dinner tonight! Haven’t had artichokes in ages. Can’t wait to try this!